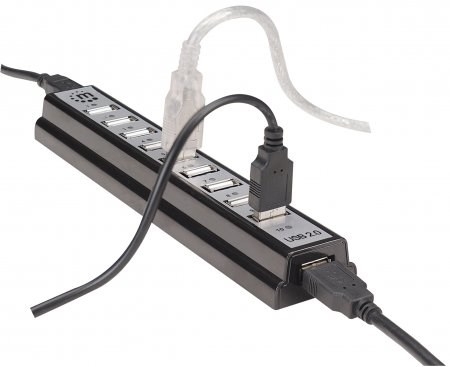 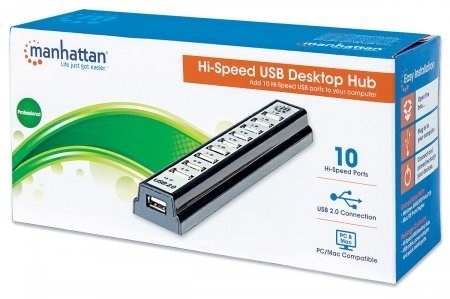 The Manhattan Hi-Speed USB Desktop Hub easily expands USB access for desktop and notebook computers to connect more peripherals and mobile devices. 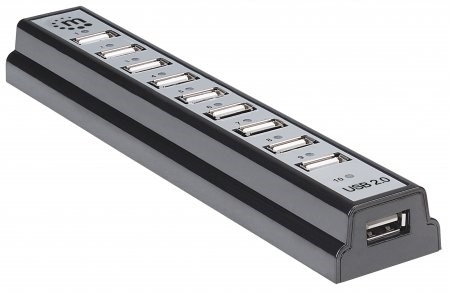 With 10 extra high-speed, backward-compatible ports, the Manhattan Hi-Speed USB Desktop Hub can manage almost any digital enthusiastâ€™s growing collection of USB-enabled devices. 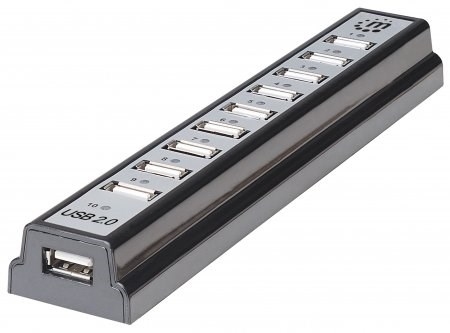 It´s ideal for recharging MP3 players, cellphones, digital cameras and other mobile accessories and connecting keyboards, mice, Web cameras, flash drives, card readers and more. 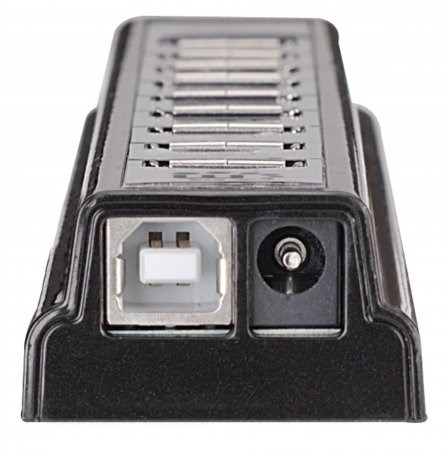 The compact and durable plastic case features the power and hub-to-PC ports on the side panel to help better organize connections and minimize cable clutter. 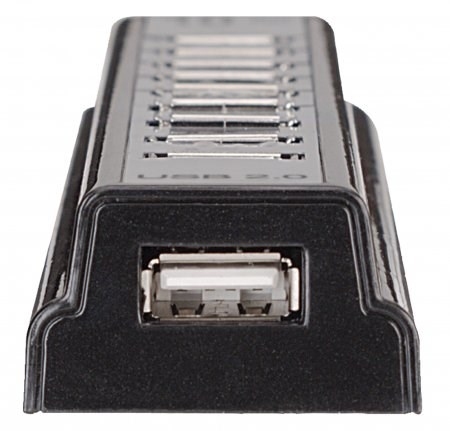 Plug and Play with hot-swap capabilities, Windows7/8 and Mac compatibility, and data transfer speeds up to 480 Mbps help the Manhattan Hi-Speed USB Desktop Hub consolidate numerous, less-capable hubs into a single USB solution.